Is it even possible to take an undercover camera into a meat production facility and NOT find abuse? Apparently not. Worse, these are exactly the same sorts of things that Mercy For Animals found at a Butterball plant last year (an investigation which led to criminal animal abuse charges against plant workers). So I guess humanely producing a Thanksgiving turkey is not really in our culture despite how much we revere Thanksgiving and turkeys. 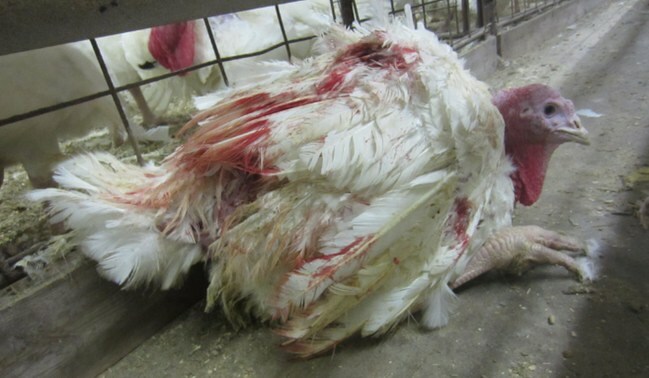 Unfortunately, the lives of turkeys in Butterball’s factory farms are short, brutal, and filled with fear, violence, and constant suffering. While wild turkeys are sleek, agile, and able to fly, Butterball’s turkeys have been selectively bred to grow so large, so quickly, that many of them suffer from painful bone defects, hip joint lesions, crippling foot and leg deformities, and fatal heart attacks. 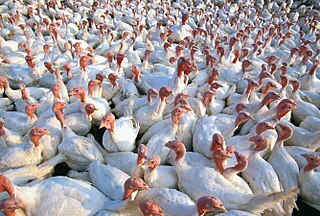 As the world’s largest producer of turkey meat, Butterball is responsible for 20 percent of the 252 million turkeys raised and killed for food each year in the United States, and 30 percent of the 46 million turkeys who are killed for Thanksgiving. Even if you want to eat a cruelty-free turkey for Thanksgiving, there are only a handful of farms left in America that raise turkeys which live normal turkey lives and haven’t been genetically modified in painful ways. Anyhow, for all these reasons, we’re going for a turkey-free Thanksgiving this year, even though there will be some meat-eaters around our table (one of the perks of doing the cooking!). And if you want to give it a shot, here’s a bunch of good recipe ideas.